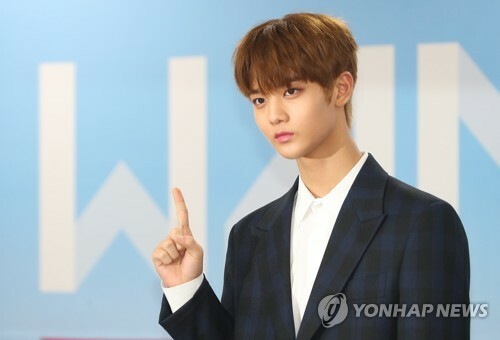 SEOUL, Sept. 28 (Yonhap) — K-pop entertainment agency C9 said Thursday it will take legal action over vicious and sexual online comments made towards underage pop star Bae Jin-young, a member of popular idol group Wanna One. “We’ve confirmed that malicious rumors, comments attacking his personal character and posts amounting to sexual harassment were made in several online communities towards Bae Jin-young,” C9 said in a statement. The company said it sought legal counsel on the matter and decided to press charges against the people responsible for spreading false rumors over the Internet. The agency warns it has zero tolerance for people who write groundless and vicious comments about their stars. Bae, 17, debuted in August as part of the 11-member group comprising the winners of the audition program “Produce 101 Season 2,” which aired on music cable station Mnet from April to June. Bae made the final cut by finishing 10th on the show.